Using old photos in a collage gives new meaning to family history. A photo collage of old photos makes a stunning conversation piece in any home. Make a wall decoration that is meaningful and decorative using old photos and your imagination. Using a collage to depict your ancestors, a long ago vacation or your child's entire school history is a project that can be enjoyed for years to come. Select the software to use for the collage. Free downloads are available that have applications to create your collage. Picasa is one of the free sites and Adobe Photoshop offers a free trial period. 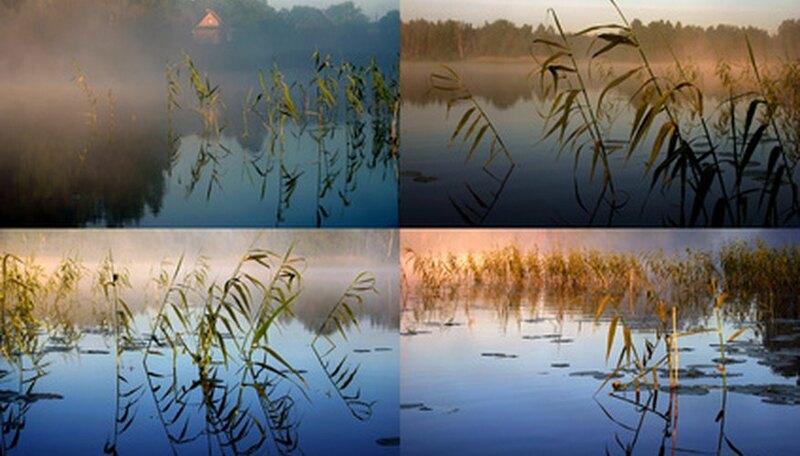 Using the collage software, choose the size and resolution for your collage. A high resolution of 300 for printing an 8x10 collage is a good choice to begin with. Scan the old photos into your photo library in the photo program you have chosen. Drag approximately 10 photos into the work area of the collage program. Arrange the photos and their size for a good presentation. To make changes to one of the photos while constructing the collage, right-click on the photo and click on "View and Edit"; the photo will go to the edit page, where you can crop it or adjust the color and lighting. Click "Collage" to return. Make your final arrangement for the collage and use the "Preview" option that most collage programs provide. When the collage is the way you want it to be use the "Create Collage" or "Save" command. This last action will instruct the program to create your collage as you have designed it. Print your collage on good quality photo paper. Use high gloss or semi-gloss photo paper for the best result.